Can you imagine pounding a race track amid temperatures of 40 degrees Celsius? 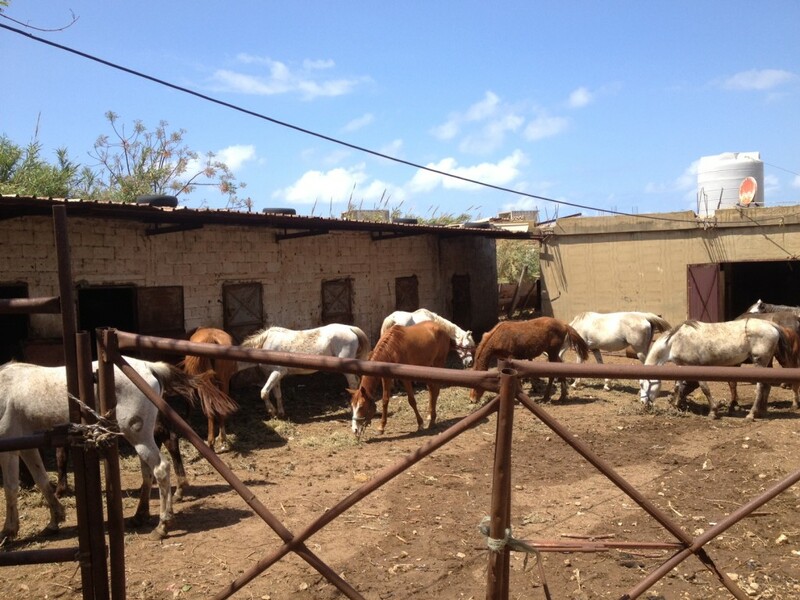 That’s no problem for the purebred Arabian stallion as our reporter Dan Hirschfeld found out while filming in Lebanon. Horse racing is a popular sport in Lebanon with annual races held in Beirut. And the country is also home to the famed Arabian horse, one of the oldest breed of horse. It’s believed it was developed by the Bedouins of the Middle East specifically to last long distances. The powerful beasts, characterized by their flowing manes and proud heads, are used in endurance riding in equestrian sport as well as on traditional race tracks. Dan Hirschfeld, who is doing a feature on a smart electricity grid to counter chronic power cuts, met a horse breeder near Tripoli in northern Lebanon, who has several Arabian horses. Our reporter Dan Hirschfeld, who is filming in Lebanon, came upon an unusual sight on Tuesday – quiet streets in the usually bustling capital Beirut. The country is going through political change with newly appointed Lebanese Prime Minister, Tammam Salam, opening talks to cobble together a government. Salam, a former culture minister, has vowed to work toward ending divisions in the nation and preventing the civil war in neighboring Syria from spilling over into his country. 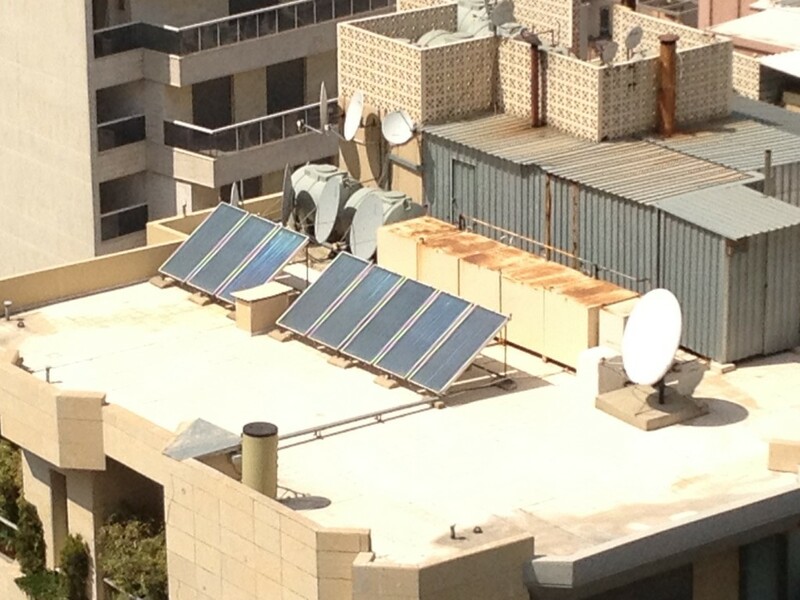 But Lebanon is struggling with infrastructure challenges too, especially daily power shortages. Many people rely on polluting diesel-powered generators for electricity. That’s the focus of Dan Hirschfeld’s upcoming feature for Global Ideas. He’ll be looking at a planned smart electricity grid which is meant to store renewable energy from the sun and wind and curb power breakdowns in the country. Germany is helping train Lebanese engineers to operate the smart grid. Renting or buying – A difficult decision! As a volunteer one of my main tasks is the so called “green energy promotion”. Here I try to drive the distribution of solar lamps forward. In this field we are running two different projects. The first one is called “Right Light”, it gives users of sooty kerosene lanterns the opportunity to rent a solar lamp over night for a very low price. So they don’t need to buy more expensive, health and environment damaging kerosen. The second project we call “Villageboom.” Here we encourage people to buy solar lamps as an investment in their future. The major difference both is obvious, a person is either the owner of a solar lamp or the person rents the lamp. Both have advantages and disadvantages. For example: Almost everybody can afford the rent of one solar lamp for one night (about 9 Euro Cent). Another positive aspect is that the person who rents does not bear a risk if the lamp fails and is broken. But by possessing a solar lamp users can save a lot more money, because the sun will charge their lamp for free every day. Unfortunetaly for most of the people without electricity a good solar lamp is still very expensive. In the long run renting a lamp will be more expensive than buying one. After one year of renting a lamp the rent will equal the value of buying a lamp twice. In conclusion I think installment payments are the best solution for poorest who are looking for a clean and cheap light. Therefore it could be very interesting and succesful to combine both concepts. For example our Solar Lamp Entrepreneurs-SLE could offer to their customers to buy a solar lamp bit by bit and not at once. I’ll keep you updated how our solar lamp distribution is going on in future. But if you have any idea, suggestion or proposal about this issue feel free to comment and to share your thoughts. If you read my last posts, you may figure out the solution by yourself. “SLE” is an abbreviation for our successful program “Solar Lamp Entrepreneurs.” These entrepreneurs charge their solar lamps every day and rent them out each night. Their customers don’t have access to electricity. They come regularly to rent the lamps and even order them in advance to ensure they get one of the much sought-after gadgets. 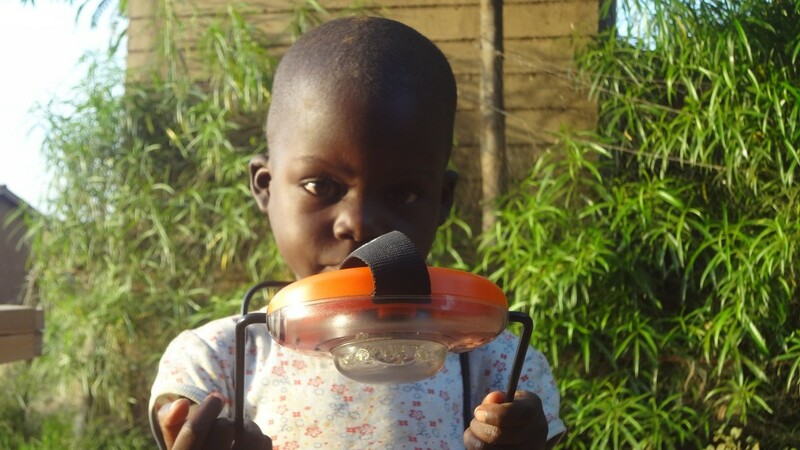 The reason for the huge demand is quite simple – the solar lamps are brighter, cheaper and, most importantly, safer than the commonly used kerosene lamps. That allows children to read, learn or do their homework even late in the evening. But the lamps also help their parents since they make it easier to work at night and perhaps earn more money for the family. At the end of last year, we organized our SLE-Meeting. The aim was to give our SLEs the chance to share their experiences and to get more people involved in the project. Of course, it was also great that our new potential SLEs could learn directly from the more experienced ones. It was very interesting to hear what they had to say, both good and bad. In one worst case, someone’s solar panel had been stolen while charging the lamp. On the other hand, one of our Solar Lamp Entrepreneurs has already employed someone to reach out to more people in other areas. Overall, the meeting was a success. Four new SLEs were added to the solar lamp rental project. Each of them got ten lamps as a loan. That means we distributed 40 lamps and, in addition, some of the more experienced SLEs bought new lamps. So the number of solar lamps in this project increased to 200. We are proud of this number and want to raise it further in 2013. 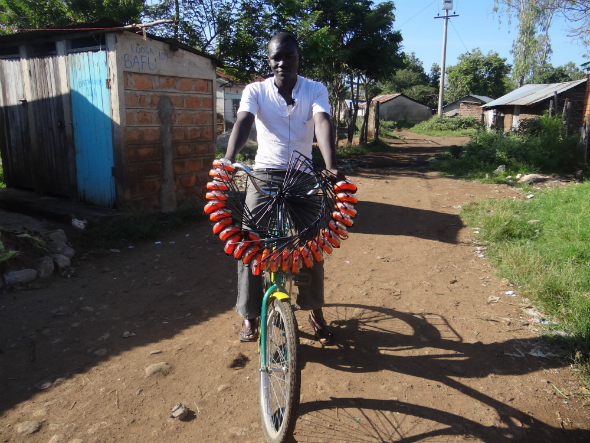 But personally, I want to focus more on selling the solar lamps directly to customers. That’s because for them, the solar lights bring the most financial benefits if they own the lamps themselves. More about this issue the next time.